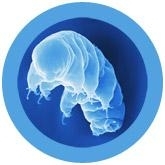 Waterbear Gigantic 15" under a microscope! 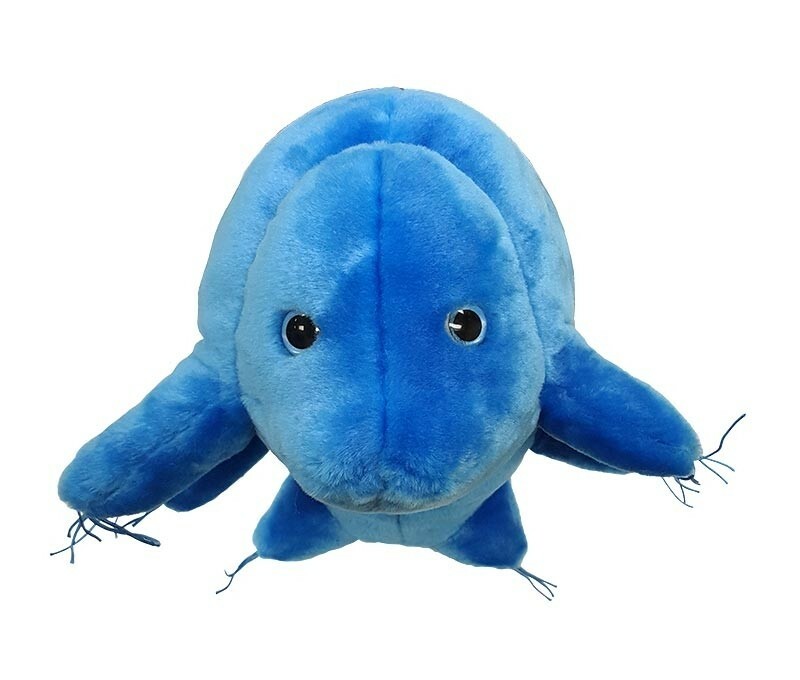 One of the most fascinating lifeforms on Earth is the common tardigrade – technically speaking, “slow walker.” Typically found most anywhere, waterbears love a nice patch of moss. Indeed, they are also known as “moss piglets”. This smallest bear in the world can hibernate for decades before coming back to life! They can even survive in the vacuum of outer space! FACTS: One of the more fascinating organisms in the microsphere is the common tardigrade – technically speaking, “slow walker.” However, it is not the tardigrade’s sluggish speed that captures the attention, but rather the fact that as this miniscule creature lumbers along on its eight tiny legs, it bears an uncanny resemblance to, well, a bear. First described in 1773 by Johann August Ephraim Goeze as “kleiner Wasserbär,” these “little Waterbears” are unusually hardy. By entering a state of cryptobiosis – a kind of super-hibernation where the metabolism becomes inactive – waterbears can survive in boiling water, and at temperatures very close to absolute zero. They can dry out and survive 99% dehydrated for decades. They can survive a thousand times more radiation than humans can. They can even survive in the vacuum of outer space! Needless to say, with these death-defying abilities, waterbears are found all over the world, from the highest mountain peaks to the depths of the deep. But they are typically found nearby in the miniature rainforests created by common mosses (indeed, they are sometimes called “moss piglets”) – so backyard adventurers with low-powered microscopes can easily go on a waterbear hunt. But never fear: although a few species (such as the grizzly Milnesium tardigradum) are aggressively carnivorous, as a whole, waterbears (including our own Hypsibius dujardini) are quiet herbivores who live gentle little lives, picnicking and playing – and taking long, slow walks. 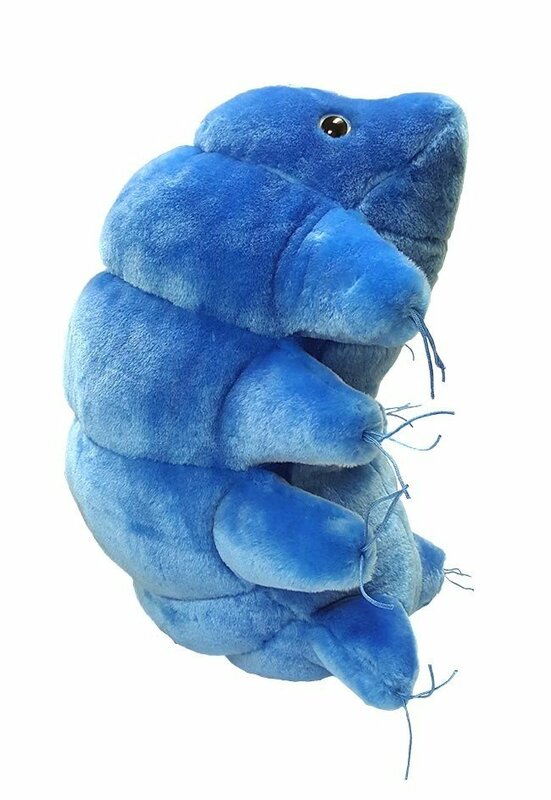 All about Waterbear Gigantic 15"